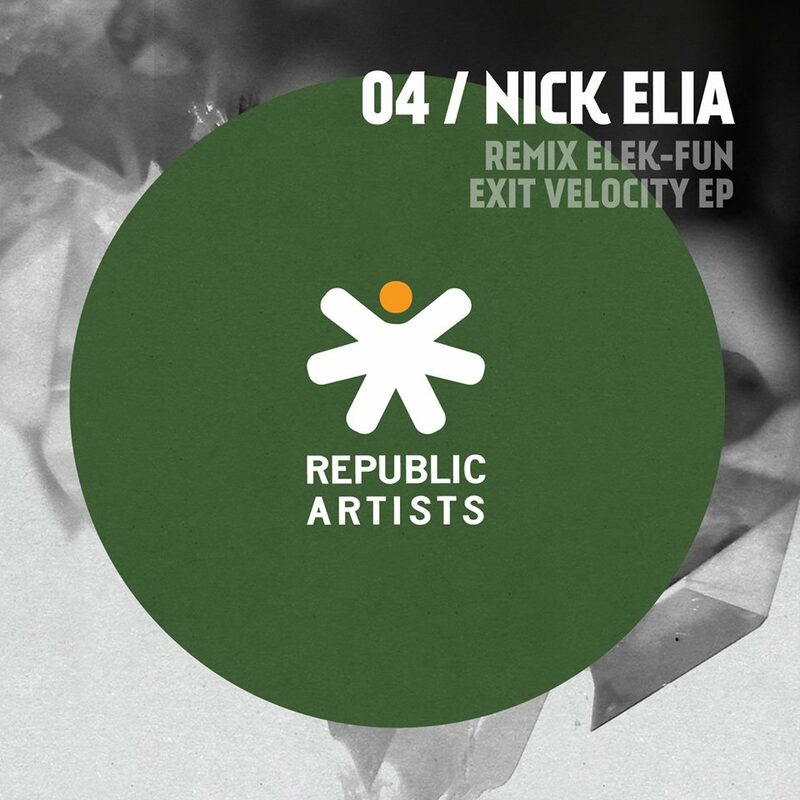 Press Release: We are proud to introduce Republic Artists’ 4th release ‘Exit Velocity’ EP, delivered by Nick Elia, containing 2 original tracks seamlessly tailored for the club with the added bonus of a stellar remix from Elek-Fun. 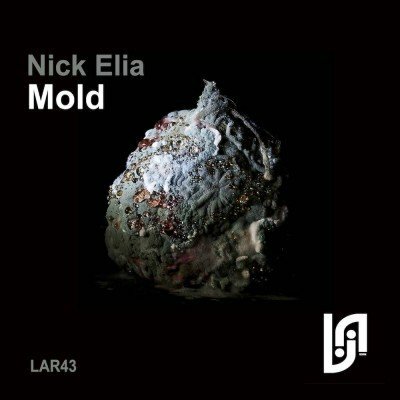 Nick Elia, a purist DJ/producer that has been intimately involved with London’s underground electronic music scene since the mid 2000s, certainly knows his way around the studio and in particular producing deep pulsating techno: a Roland artist, with a deeply held passion for technology and raw analogue sound. The title track ‘Exit Velocity’ kicks off with robustly constructed beats, right before the killer bassline drops in to dominate the techno crossover and dark flowing tech-house destined to proliferate in the underground. On the flipside, ‘Glue’ pays respect to the root components of Techno with a hypnotic vibe, rolling beats, experimental noises, ever-evolving soundscapes and a dark dubby vocal. Leading Astray Records founder Elek-Fun’s edit of Exit Velocity takes a deeper turn whilst retaining the energy of the EP. The London based Spaniards acid sounds, classic beats and haunting stabs roll with the bass until a trippy soundscape kicks in after the break. The EP has been gaining amazing DJ feedback and radio support from the likes of Spartaque, Paco Osuna, Tiga, Hannah Wants, B.Traits, Cevin Fisher, Kiss FM, Daniel Bortz, Colin Dale, Dubspeeka, Brodanse, Audio KoDe, Sonic Union, Jimmy Van M, Agent!, Label Leaks, Alex Nemec, G-Pal, Stefano Lotti, Rulers of The Deep, UGLH, DJ DEP, Steve Parry DJ, Denite and Gareth Whitehead. Hannah Wants: Glue is sick, thanks! Colin Dale: killer E.P..love the dark sound coming outta the speakers. Can’t wait to rock Glue out…. Dubspeeka: Glue !! oooof ! Paco Osuna: Will Try. Thanks! Jimmy Van M: Cool tunes! Thanks! Label Leaks Blog/Radio: Supported by Label Leaks! Al Bradley: Glue is a cracker, proper throbbing basement tackle!! Stefano Lotti (Soundpark): Thanks for the music! Rulers Of The Deep (Ovum, Radio 2): Love it!!! The Bassroom: glue does it for me has a repetitive feeling that i like..
Steve Parry (Selador, Frisky, Luna, SMP3): Slammers! Denite (Get Physical / Redlight Music Radioshow): Thanks for the Music! Iain Taylor (Rejekts / Sankeys / Space Ibiza): Love the remix!